Trust our company with your upholstery cleaning needs and we will make your wishes come true. If you think there is no saving your stained armchair or sofa and you think you would need to buy a new one, let our specialists take a look at it. It might just need to be cleaned professionally by an expert. Our company has been providing upholstery cleaning services to people for years and they have seen and worked on different types of fabrics and types of furniture and have experience in dealing with various cleaning problems. 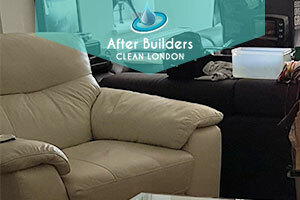 Our upholstery cleaning service is prompt and reliable and is available in London and the area. You can contact us at any time, we have a call centre that is open 24/7. Our cleaning teams are skilled and very good at their job. They are well-versed in the types of upholstery fabrics and what they need in order to be cleaned safely and efficiently. Our upholstery cleaning service is a timely service that is performed by a team of expert cleaners who have been doing this job for years and know the intricacies. They can efficiently clean all upholstery fabrics – polyester, nylon, acrylic, acetate, etc. Our cleaners will use the appropriate cleaning product on your sofa, mattress, chair or curtain, wherever the problem is, to pre-treat stains and soil. They will take care of the high traffic areas and will steam clean the entire furniture. They will deodorise the cleaned areas as well. You can hire our upholstery cleaning service to help you with the cleaning of stains, grime, traffic areas, dull looking upholstery, and reducing of allergens and bacteria. 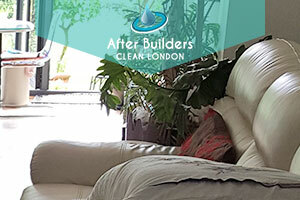 Our company is based in London and we operate in the entire area, hire our upholstery cleaning service now.